The Hemingway Legacy initiative provides opportunities for local school groups to engage with their community's historical and ecological heritage. 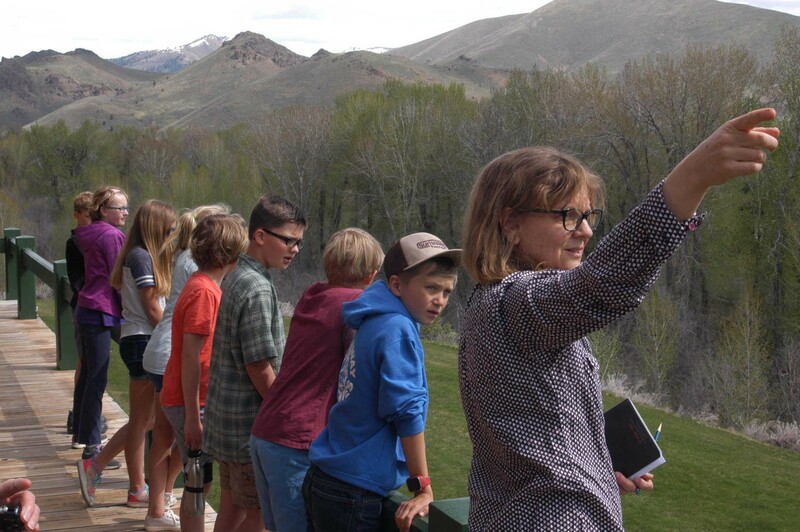 A group of fifth graders surveys the Big Wood River landscape under the direction of Mary Tyson, the director of the Center for Regional History at the Community Library. 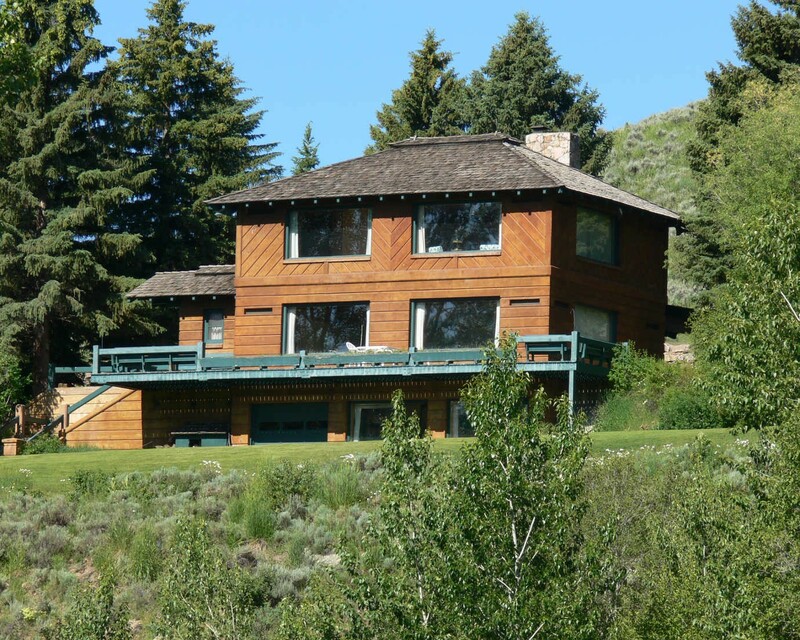 Idaho’s Sun Valley was Ernest Hemingway’s final home—his legacy draws tourists to the region and is a point of interest for those who travel to the area to pursue the outdoor activities that he also enjoyed. Now, an NEH challenge grant, which has already helped raise more than $1 million in additional funding, is helping the Ketchum Community Library Association preserve and foster that legacy by establishing a more robust center for regional history. The exterior of Ernest Hemingway's home in Sun Valley, Idaho. Image courtesy of the Community Library. In addition to preserving Hemingway’s Idaho home, which is listed on the National Register of Historic Places, the library is providing summer internships for undergraduate and graduate students. These students, who are interested in both archives and public history, are inventorying the possessions that have remained in Hemingway’s Ketchum home since his wife, Mary Welsh Hemingway, died in 1986. These items will be preserved by the library, made accessible to researchers, and displayed in exhibitions. Among Hemingway’s books students have found a limited edition of Archibald MacLeish’s poetry, inscribed with a poem to Hemingway. They have also inventoried clothing, including haute couture belonging to Mary in the 1950s and 60s. In summer 2018, the students worked with Wyoming Humanities to begin development of an audio walking tour that showcases Ketchum and Sun Valley with a focus on Hemingway’s history there. 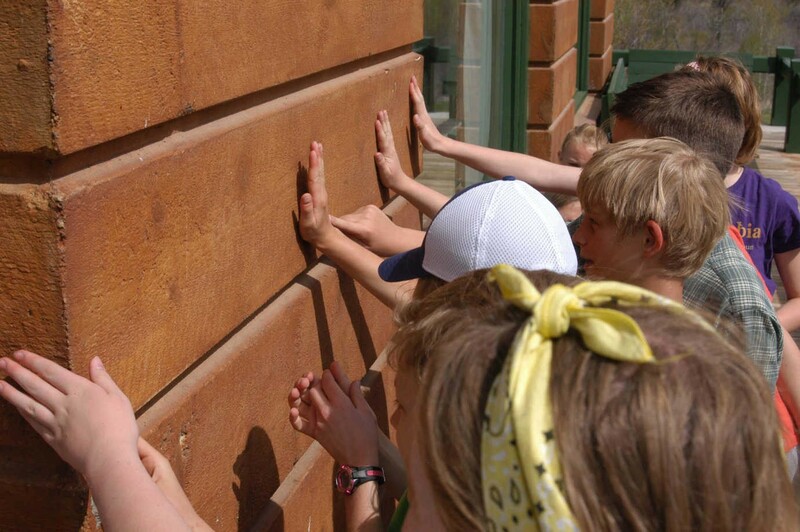 Students from a local school touch the Hemingway House, familiarizing themselves with its distinct construction. Image courtesy of the Community Library. The library has built a state-of-the-art archive, the only one of its kind in Central Idaho, that will hold Hemingway’s possessions and other historic artifacts and to which community members can contribute—it already has photographs, oral histories, and ephemera documenting Hemingway’s time in Sun Valley. In addition, the Ketchum Community Library is launching a new literary residency program that will encourage ongoing artistic production in the place Hemingway loved. With the support of the NEH, the library is inviting locals to reflect on their community’s heritage, while encouraging visitors to appreciate Hemingway’s legacy. And by bringing writers, scholars, and students to Ketchum, the library is bringing qualities of college town life to a rural area without higher education institutions, providing locals with new possibilities for literary and scholarly interactions.